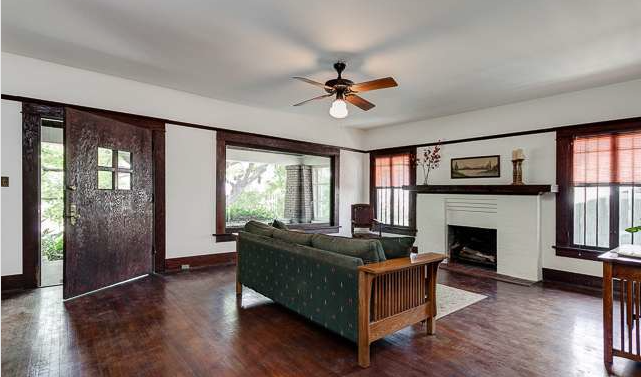 California bungalows are a dime a dozen in Los Angeles, but finding one in this particular Arts & Crafts style–with wood shingle siding such as this–is a rare treat. 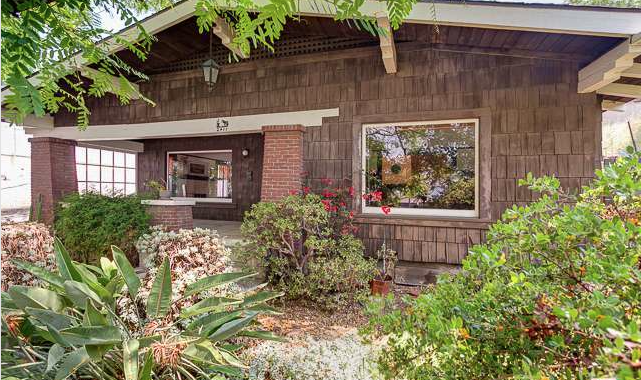 At just under 1,200 sq/ft, this 2 bedroom, 2 bath home is priced just right at $599,000. Do you like your wood rich, dark, and plentiful? 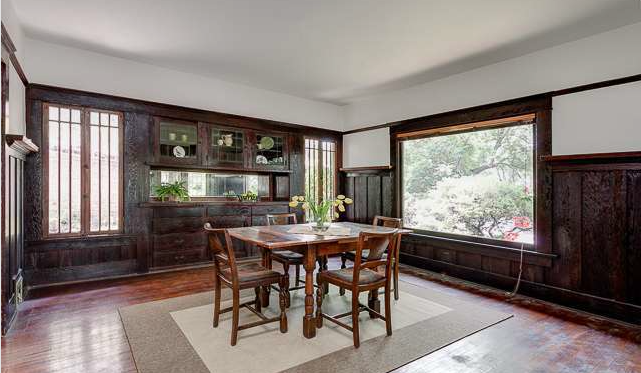 From the oak floors located throughout the living and dining area, to the gorgeous built-in bookcase and cabinets, wood is prominently featured, with period fireplace, wainscot, and window/door frames teeming with detail. 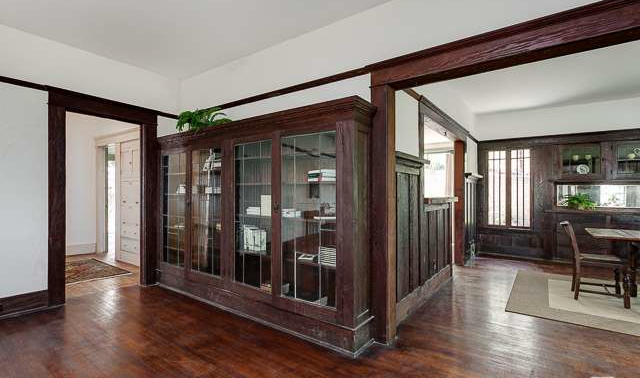 It’s fair to say that not all of the turn-of-the-century detail survived. 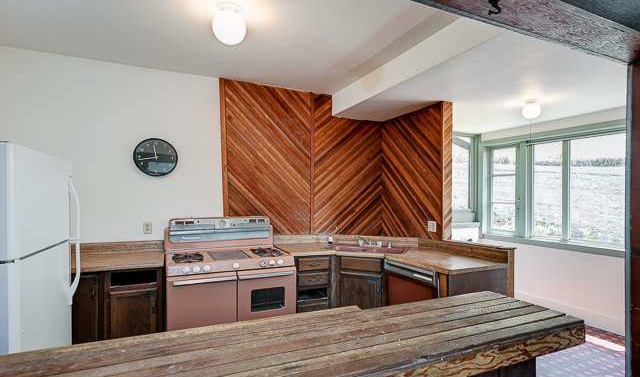 With regard to the kitchen and bath, the late seventies are alive and kicking. 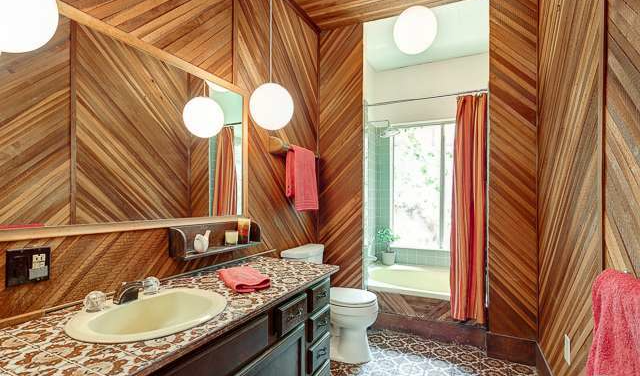 And while the kitchen could use a thorough update, I am totally digging the wood and tile design of the bathroom. To truly send me into nostalgic haze the toilet would have to change from tasteful white, to a deep, Cold War-era brown. 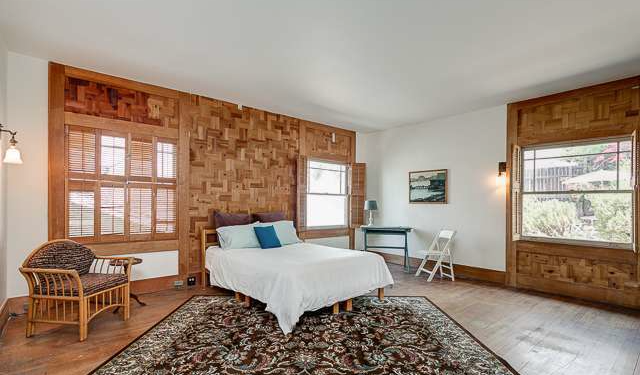 Both master and guest bedrooms are uncommonly spacious, with the master taking on a much more contemporary feel thanks to the updated wall design. Somehow, to my eyes, it works. 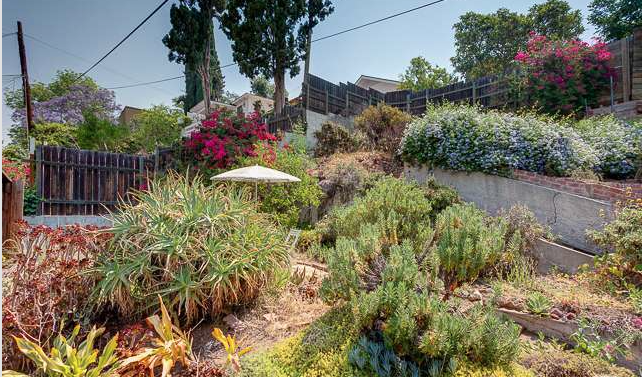 Both the front and backyard are full of mature, drought-tolerant plants. Tucked in the back is your own garden oasis that even has a small path leading to a picnic area for al fresco meals and entertainment. 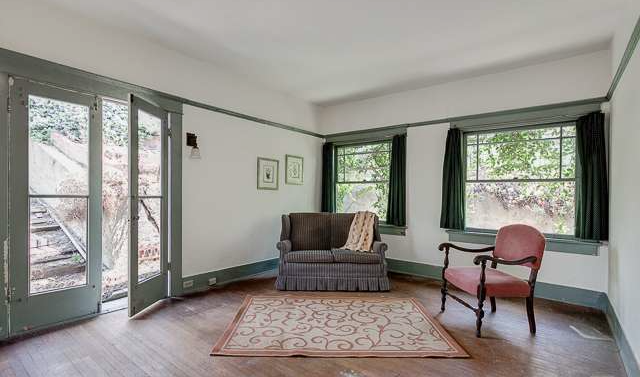 Joseph Lightfoot of Sotheby’s International Realty has the listing.